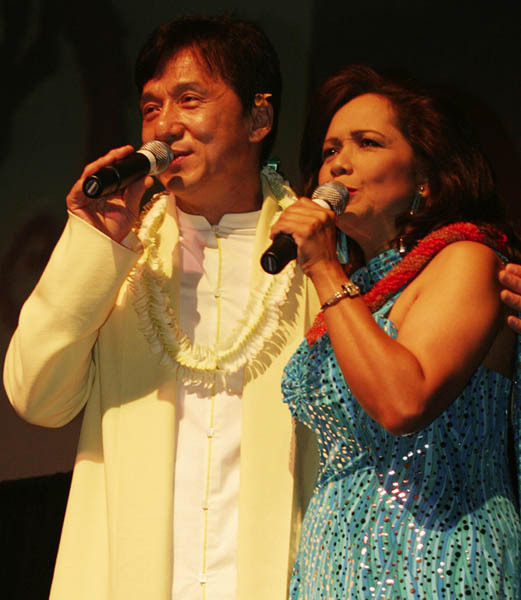 Nohelani Cypriano has been in the Hawaii entertainment business for more than 40 years. 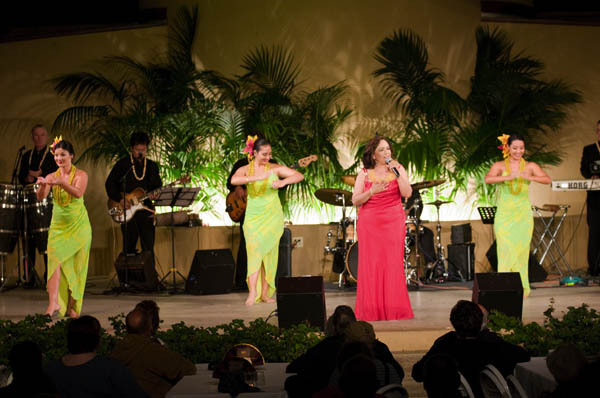 From music performances and concerts to organizing Polynesians shows and big bands, Nohe can plan any event. Oceanic Cablevision "Na Leo Ho'okani"
Nohe is a leader in Hawaii’s contemporary music industry — a vocalist, accomplished keyboard player and composer. She has recorded 12 albums and received four of Hawaii’s most prestigious music awards, including the Na Hoku Hanohano Award for "Contemporary Album of the Year" and "Best Female Vocalist". Nohe performs weekly at Tropics in the Hilton Hawaiian Village: Thursdays from 5:30pm – 8:30pm and Fridays from 8pm – 10:30 pm. Nohelani’s music career began with her hit “Lihue” and includes more than a dozen albums and singles released in Hawaii, Japan, and the world. Nohe has performed throughout the mainland—West Coast Tour, Las Vegas, at the National Mall in Washington, DC, Carnegie Hall, etc. She has also toured Japan, Hong Kong, Vietnam, Malaysia, and last year visited seven military bases in Iraq and continues to perform and travel to different countries to spread the aloha spirit. Nohe’s “Pulelehua, My Precious Butterfly” CD is dedicated in loving memory to her mother, Leina’ala Simerson, a long-time and respected Hawaiian entertainer. All of the songs on this CD have a special meaning and connection to her Mom and features many guest artists, such as Fiji, George Kuo, Jeff Peterson, and Sean Na’auao. Pulelehua includes three songs recorded by her mother prior to her passing and the title track is a song Nohe wrote which touches upon the many butterfly signs from her mom. The music on this CD is a loving testament to all mothers and to anyone who has lost a loved one…it is a celebration of life, love, and soul connections. With this CD, Nohe filmed a TV special entitled “Pulelehua” and it has recently won a Telly Award for recognition in the documentary division. Hawaii has historically bred great musicians. There are near-lost treasures of Polynesian folk music that were recorded to 78rpm as early as we were recording blues and jazz on the mainland. Modern musical styles, such as slack-key guitar, came out of Hawaii. Vibist and exotica pioneer Arthur Lyman, who was born on Oahu, recorded Taboo 2 on the island with producer David Axelrod in 1959. But in the 1970s, there was a new Renaissance of Hawaiian recording happening in various studios. Some of these bands and musicians broke out and made a name for themselves in the States, like Kalapana and Seawind. But most of the records stayed on the islands, or barely made their way to California. There were rock records, R&B, funk, smooth AOR/blue-eyed soul, and disco. Hawaiian musicians were blending traditional Polynesian sounds with modern music that was coming from the mainland. 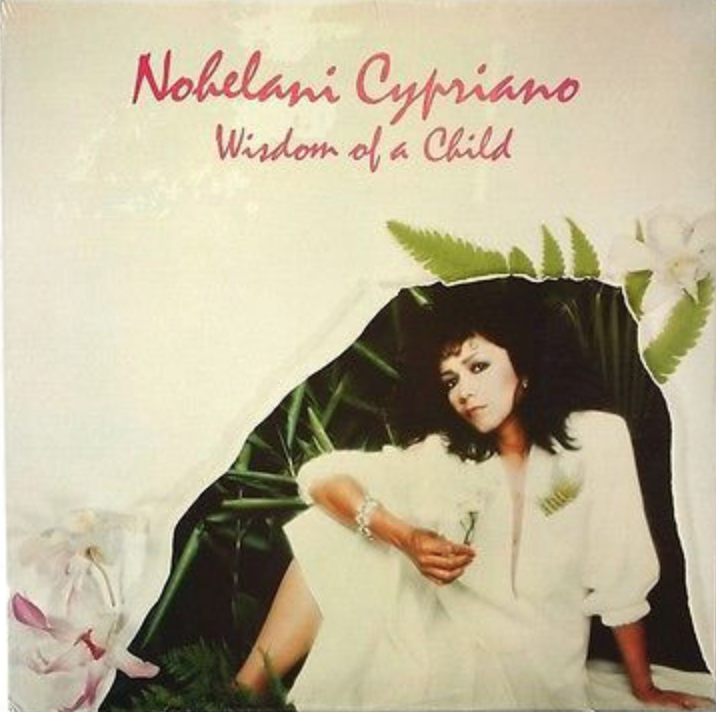 Nohelani Cypriano’s self-titled album, also known as “Around Again”, released in 1979. A multi-instrumentalist named Dennis Graue contributed to the album writing songs and playing piano, organ, Clavinet, and synths like Arp’s Odyssey Bass, the Omni, and the String Ensemble. Producer Mike Cord helped shape the sound and success of the album.